Google Maps has changed a lot over the years, but the latest update, version 9.3, adds just a minor improvement: the ability to share directions. The three-dot menu in the app now features the "share directions" button, which lets you choose how and with whom you'd like to share your route and destination. It's a bit like that Let Me Google That For You site, in that it helps you do something for someone that they should probably be able to do themselves, but it may prove occasionally helpful nonetheless. 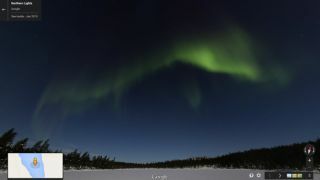 In other Maps-related news, Google has added views of the Northern Lights/Aurora Borealis to its Street View in Finland, according to the company's Lat Long blog.